As time passes after your divorce decree is filed, things change. Inevitably your kids get older and circumstances change like your income, where you work, where you live and maybe your marital status or that of your ex. These life changes may require amending an order within your original divorce decree to benefit you and your children. The legal process of amending an order in your divorce in the state of Utah is known as divorce modification. When you are facing substantial life changes that affect your circumstances since your divorce decree was issued by the court, you have the right to ask the court to modify the decree. A petition to modify the divorce decree must be filed with the court where the jurisdiction of the order is held to modify child visitation, child custody, child support or spousal support or other matters. When you are faced with life changes that should be reflected in your divorce decree, contact Wasatch Defense Lawyers for your free, no-obligation consultation at 801-845-3509. We have several decades of experience in The Beehive State and will help you amend the necessary court orders from your divorce to better reflect your current circumstances. When you or your ex-spouse develops changes in lifestyle or financial circumstances that are significant and enduring, your order of child support should reflect those changes. The courts will typically modify a child support order that will result in a rise or fall of at least ten percent of the original child support amount. As children get older things like child care and other expenses can significantly change along with a parent’s income and health insurance coverage over the years. Modification of custody in Utah is a petition to amend original child custody provisions of your custody agreement requested by either parent. Ideally, the modified terms are agreed upon by both parties to be given to the court for authorization. To be legally valid, modifications of child custody orders must be granted by a judge who determines it will be in the best interest of your child. In general, visitation with a non-custodial parent is limited for children under the age of five. When your child turns five you can petition the court for a modification of your parenting plan to adjust the visitation schedule. 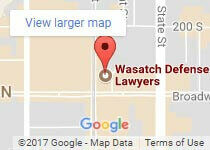 Wasatch Defense Lawyers have vast experience in family law and will help you obtain a modification of parent time in Utah so you can spend more time with your child. If you are still providing alimony to support your ex-spouse financially in accordance with your divorce decree after their financial circumstances have improved, you will need to legally stop making alimony payments with a modification. To stop or reduce alimony or spousal support payments if your ex-spouse remarries, lives with someone who is supporting them or has a substantial and enduring improvement to their financial situation, you must first petition the court for a modification of alimony or spouse support. Our compassionate family law advocates understand that as time passes, your family will most likely be faced with changing circumstances.Wasatch Defense Lawyers are here for you and your family to answer questions and safeguard your legal rights through your divorce decree modifications. We offer payment plans and military discounts for US military veterans.